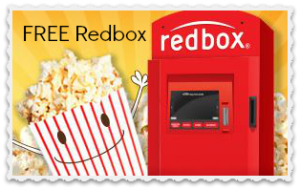 This is a reminder that there is a Redbox code available for a FREE 1-night DVD rental. Use code 9MXW2LPC at your local kiosk (code doesn’t work online) to rent your FREE movie! Our family really enjoys movie nights together, but it could also be a good option for an inexpensive date night too. Find the Redbox nearest you!